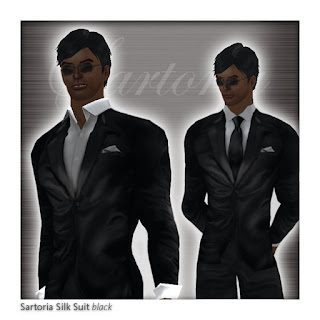 We are featuring the expert work of guest designer traveller Bade and his elegant line from Sartoria! For a few days ago, enjoy the opportunity to buy at 50% off his line of Sartoria silk suits, a stunning suit that will blow you away! A very fine jacket and shirt along with elegant pants. The shirt comes with carefully sculpted cuffs and collar. Available in black, red, brown, moss green, blue, royale and purple.